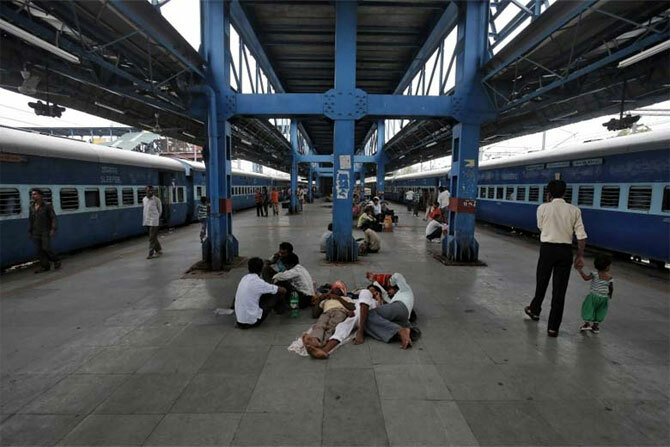 The cleanest railway stations in the country are in Gujarat and the dirtiest in Bihar and UP, according to a passenger feedback survey on cleanliness carried out by the Railway Ministry, which says lack of sanitation at stations was the biggest area of concern for commuters. Out of the 40 different cleanliness parameters passengers rated stench at stations as their top concern, followed by lack of dustbins and unclean platforms. The survey was conducted at 407 major railway stations and nearly 130,000 passengers took part in it. The report was released by the Railway minister on Tuesday. Among the 10 cleanest stations in the order of ranking are Beas, Gandhidham, Vasco Da Gama, Jamnagar, Kumbakonam, Surat, Nasik Road, Rajkot, Salem and Ankleshwar. Five stations in Gujarat--Gandhidham, Jamnagar, Surat, Rajkot and Ankleshwar-- are among the top 10. The dirtiest stations in order of ranking are Madhubani, Ballia, Bhaktiyarpur, Raichur, Shahganj, Janghai, Anugraha Narayan, Sagauli, Ara and Pratapgarh. Five dirtiest ones -- Madhubani, Bakhtiyarpur, Anugrah Narayan, Sagauli and Ara -- are in Bihar. Every passenger was asked to rate the station's cleanliness on 40 different parameters. Out of these 'absence of stench in the station premises' was the most important for the passengers, this was followed by "adequate availability of dustbins". 'Condition of flooring surface at platforms', 'cleanliness of platform areas' and 'promptness in cleaning of extremes of dirtiness like nightsoil/vomit' occupied third place in the priroty list. The primary audience for the survey were passengers. Porters and vendors on the platform or ticketed area and railway officials were also approached for their feedback. The ministry now plans to carry out such surveys from time to time to gauge the levels of improvement across stations and develop a monitoring mechanism through an e-platform. One of the key suggestions of this study is to "consolidate and monitor the cleanliness through an e-platform. This can also be used to send alerts. The above mechanism may be on e-platform, which will enable managers to get real-time status of cleanliness."